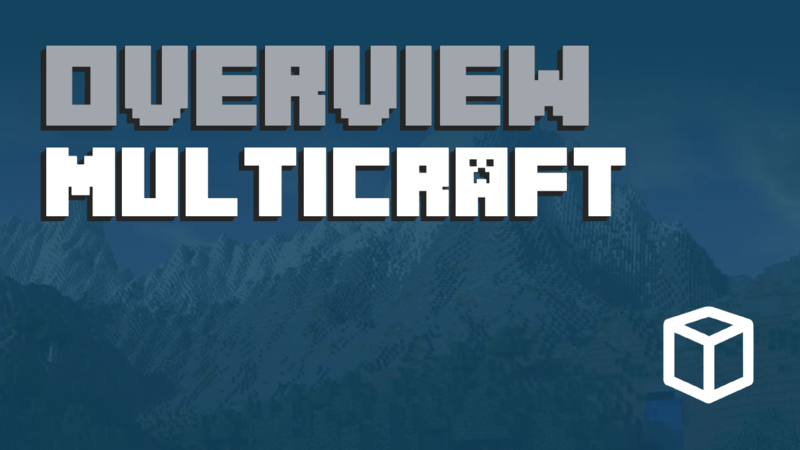 Once you have chosen the correct Minecraft hosting account you will now have access to the multicraft control panel for your new server. This can be accessed by following the link inside of your services tab on the account page. You can also get to the control panel by going directly to panel.apexminecrafthosting.com and entering the login information provided on the e-mail. This control panel gives you all of the customization features that you need without having to learn all of the commands inside of the game. The main screen shows the overview of information for your Minecraft server including the IP address and specified port, as they will vary with each newly created server for our customers. The amount of RAM will be set in stone based on what minecraft hosting package you have chosen but you can submit a ticket to upgrade or downgrade your account at any time without having to transfer everything to a new account. The jar file is what specifies which version of Minecraft your server will be running. Built into our control panel are options for Bukkit and Vanilla along with the option to set your own jar. This is easily achievable by changing the dropdown to default and putting your jar file inside of the jar folder on the server. In order to add and remove files from your server you have two options for FTP, being the built in browser available through the files tab on the control panel or a software FTP manager such as FileZilla. Once you have connected to your servers FTP you are able to add and remove whatever files you would like. Please note that the server will use the specified jar file inside of the jar folder on the root folder of the server. Once you have selected which version your minecraft server will be you can start customizing all of the features and options available through this control panel interface. It is easy to set up the operators for your server and perform any administrative tasks. Make sure that you change the name of your server to something relevant to what game you will be hosting on it. The control panel provides monitoring capabilities as well. Console will show the servers command line and all operations that are taking place, this is great for watching your server and trying to pinpoint any errors. You can also join into the server with commands and chat without ever loading up the game through the admin interface. Memory will determine how many players your server can support and is monitored live on this page. If your minecraft server starts to slow down and feel laggy definitely check the amount of RAM available and upgrade your account if you are running low. If you are a Bukkit user which is one of the most popular server types the dashboard allows for one click addition and deletion of plugins. You can completely create a custom minecraft server without ever having to log into the game. Jar Selection – Boot from any .jar file in your /jar folder on the root of your server. Once you have dropped the file in this location you will be able to boot any version of minecraft. Player management – Keep a close eye on who is playing on your server with simple functionality to remove, ban, promote any player.